October is a wonderful time of year. The temperatures are perfect to head outdoors, there’s plenty of wildlife activity and lots of flowers about. You don’t need to go far before you see some of the flowers we’re talking about. Take a wander along some Roma’s streets and you will see carpets of flowers on the ground. The Narrow-leaved Bottle Tree has become a botanical icon of Roma and right now they are flowering. 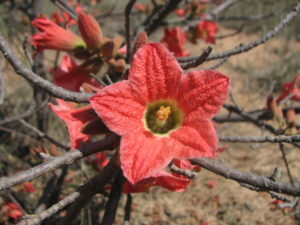 The Narrow-leaved Bottle Tree is botanically called Brachychiton rupestris (pronounced Brack-ee-KY-ton roo-PESS-tris) and is the most popular member of the Brachychiton genus planted in town. 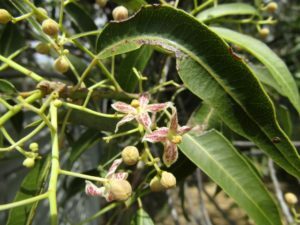 There are however, other species of Brachychiton grown in gardens now in flower such as the Broad-leaved Bottle Tree (B. australis) and Little Kurrajong (B. bidwillii). The flowers of each are easy to tell apart and beautiful in their own way. There are so many Bottle Trees in Roma it’s a challenge to find a street that hasn’t got one – yes they are quite popular! They are renowned for their swollen, bottle-shaped trunk where no two trees are the same. They come in all shapes and sizes and it boils down to what conditions they live in. 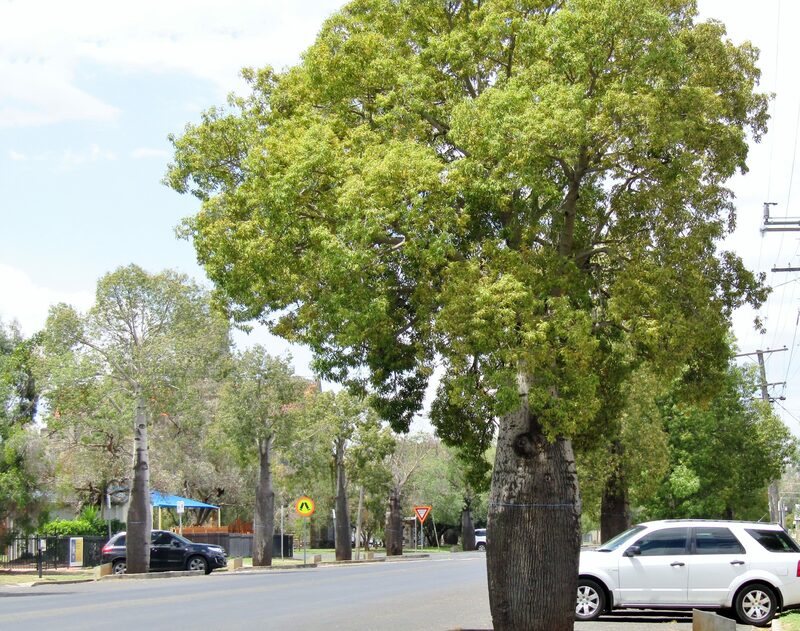 When grown in urban or in exposed areas with an abundance of light and water, Bottle Trees typically grow ‘short and fat’ where they usually are less than 10 metres high but can have a girth of over 9 metres. In the wild they inhabit Brigalow (Acacia harpophylla) forest and semi-evergreen vine thicket (a type of dry rainforest), and typically grow ‘tall and lean’ to reach above the surrounding canopy. Technically they are a succulent because their trunks are swollen water storage organs that are not hollow but instead contain soft fibrous material saturated in moisture. Their ability to absorb and retain moisture makes them adapted to the dry climates of inland Queensland. They are tough, slow growing plants and easy to grow in most areas. The characteristic bottle-shape can take five to ten years before it develops, so gardeners should be patient! 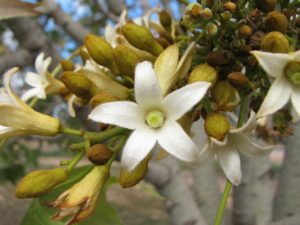 Plant Fact: Bottle Trees are an endemic to Queensland yet are often mistaken for the Boab (Adansonia gregorii) that occurs in the Northern Territory and Western Australia.